The apartment was newly renovated in 2016 and 2017 and lovingly furnished. They have living.-Bedrooms kitchen and bathroom. A terrace is located in the entrance area of the two apartments with seating. Welcome to the FeWo der Fam. Lachmann in the beautiful village of Klitten in the municipality of Boxberg at Bärwalder See. The two apartments are located on the ground floor of our 2 Fam. House. They were established and lovingly established in 2016 and 2017. The nearby Bärwalder Lake with 13 km² is the largest inland lake in Saxony. This lake invites you to relax, B. Swimming, skating, cycling and hiking. Recreation in nature is given here. After an exciting day you can relax with us. In the garden, a barbecue area with a fire station awaits you to the end of the day. There is a car park at the house, as well as a ladies' and men's bicycle. We look forward to your visit and wish you a relaxing holiday! Both apartments can also be booked together for a larger family as they are next to each other. These apartments also have a large terrace at the entrance and offer in the evening a shady spot. In our village you will also find all the shops you need for your daily needs. 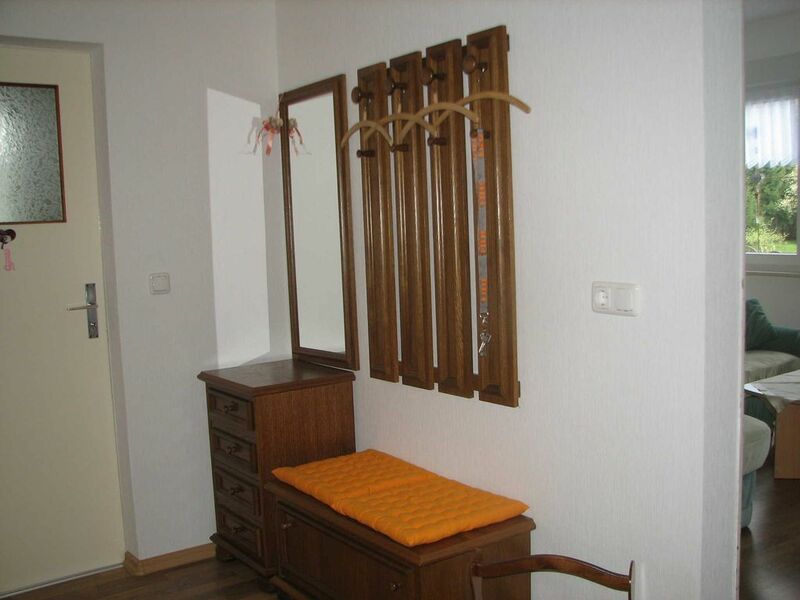 The apartment is located in the district Klitten the community Boxberg, near the Bärwalder lake. The lake is 3 km away and offers a well-developed cycle path network, which invites for cycling and inline skating.